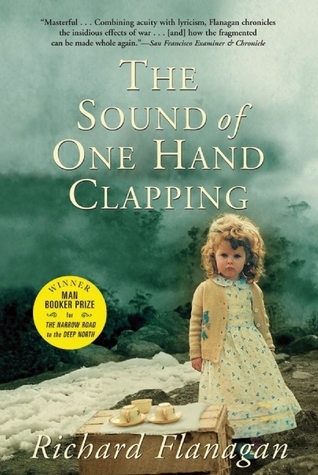 Over the weekend I finished reading The Sound of One Hand Clapping. I figured while living in Launceston I’d read a classic Tasmanian novel. 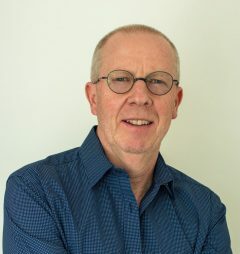 Some parallels with Maria’s childhood, growing up in Hydro villages in the harsh environments of the wet west made Richard Flanagan’s acclaimed 1950s tale an obvious choice. For the Europeans who made up much of the workforce, Flannigan describes their daily lives through the lens of wartime atrocities, the memory and reality from which they are attempting to escape. Daily life in the villages and in 1960s Hobart is a kind of façade, behind which the unfathomable depths of pain from the past lay hidden. It might be less dramatic for us than Flanagan’s characters, but there’s a whole bunch of ugly stuff behind our façades too I reckon. Unmet needs for love, security, recognition and a whole bunch of other stuff. One of the strengths of Flanagan’s tale is the unspoken understanding of each others’ pathologies. Grace is given. The inhabitants of the single men’s quarters are under no illusions, unlike those of us who’s lives have been less painful, that games of denial are being played as people get on with the routines of life. Should we attempt to live without facades? I think not. Imagine the awkwardness of everyday interactions. But it helps to acknowledge their existence. Mine, and others. And then beyond acknowledgement, hopefully there are a handful of loved ones who we trust enough to invite behind the façade. This is where love happens. I like a good instagram pic as much as the next, but my instagram persona is a miniscule fraction of who I really am, as is your’s. I love competence and confidence in the workplace too, but how people present in their work uniform, whether it’s a suit, overalls or a footy jumper, is not who they really are either. These things are simply the facades we have constructed, and as helpful as they are in navigating our way through life, our lives are not our projected persona any more than the building is the façade. So I have been wondering about the depth of our lives. I have been wondering how we are supposed to fathom the complexity and mystery of the accumulation of disappointments and years of living as screwed up people. Flanagan’s book is profoundly and hauntingly sad. It challenges us to understand our living, not as a polaroid of the present, but the accumulation of everything we have experienced, especially the pain. For me, it has been a good antidote to the sometimes pollyanna stories we prefer to tell each other about who and why we are. And despite the depths of tragedy, for Flanagan’s characters, as is true for us, attempts at selflessness, however stumbling and imperfect, have a near magical, and certainly mysterious, capacity to break through life’s facades with the hope of genuine love.